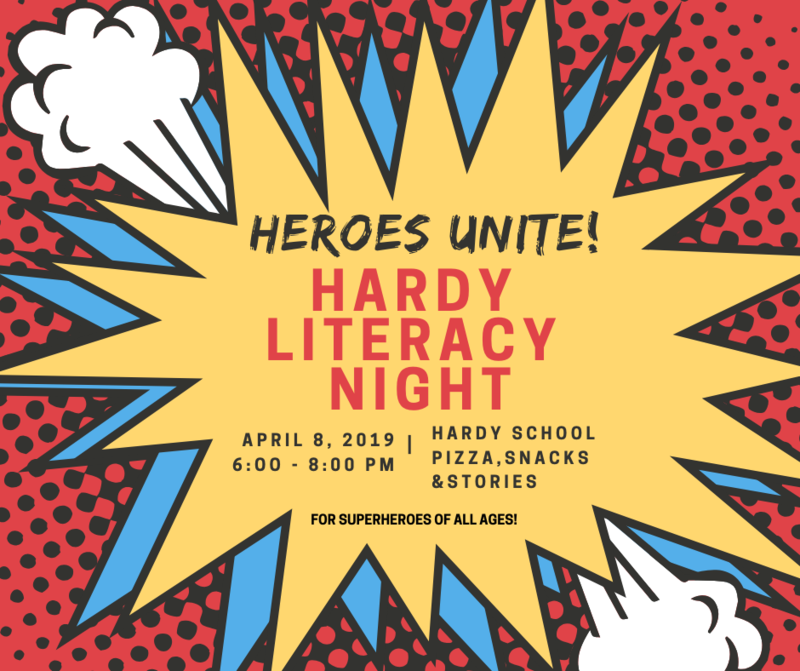 Please join us for the the Eighth Annual Hardy Literacy Night! This screen-free special event is geared towards children who would enjoy an evening of superhero themed storytelling and crafts. The donation drive was a big success. PTO is still accepting last-minute donations! We are an inclusive group! All Hardy parents are automatically members. We place no barriers to participation, and there is no fee to join. PTO meetings occur every second Tuesday of the month in the Hardy Library beginning at 6:30pm. Email hardyptopresident@gmail.com for more information. The Hardy Parent Teacher Organization is a 501c3 nonprofit group dedicated to promoting cooperation, celebrating community, and optimizing the educational, physical, intellectual, and social needs of children in our homes, school, and town. We are a group of dedicated parents, teachers, and staff organized to support learning and encourage positive relations in our diverse East Arlington community.